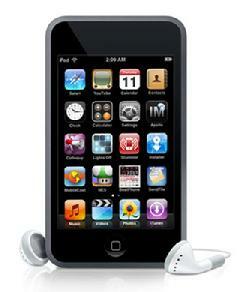 Receive $250.00 or a FREE iPod touch®! During these challenging economic times, who wouldn’t want $200.00 or a free iPod touch? Refer a friend or company and you will receive $250.00 or a free iPod touch® when your referral helps us sell a Laserfiche Document Management System. Can't accept the $250.00 or iPod touch personally because of legal reasons? No problem! If you work for a government entity or other organization where you cannot personally accept the $250.00 or iPod touch, we will credit $250.00 to your organizations account with TKB Associates instead to be used on your next bill with us. Why are we doing this? Because we’re continuously looking for more great partners like you and we’re sure you know of someone who could benefit from a Laserfiche Document Management System just as you have. NOTE: The award of $250.00 or an Apple iPod touch® will only be awarded if a Laserfiche Document Management System is sold to the individual or company referred. After the final sale of the system to the individual or company referred, the referrer will be contacted and given the option of $250.00 or an iPod touch®. There is no limit of how many referrals may be provided.